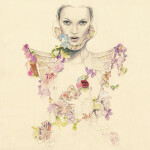 aleXsandro Palombo is an Italian illustrator, whom the cult knows via his blog Humor Chic. Palombo studied design at the Marangoni Institute in Milan and later launch is own line before becoming the scathing blogger his is today. 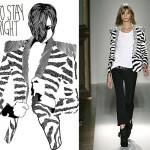 The designer has a no-hold’s barred social point of view and he uses personalities from the worlds of fashion and politics as his cartoon character templates. 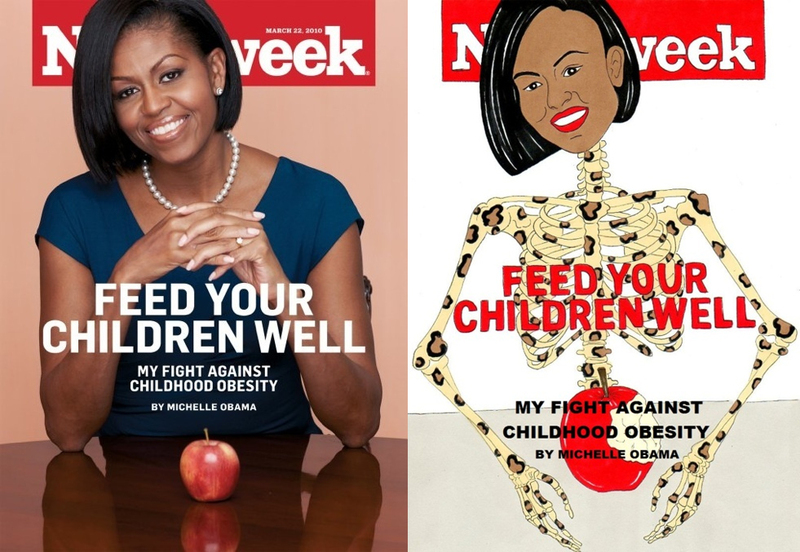 One of my favorites is his reworking of Michelle Obama’s March 2010 Newsweek cover (seen below). It’s irreverent & relevant without hitting you over the head with it’s satire. 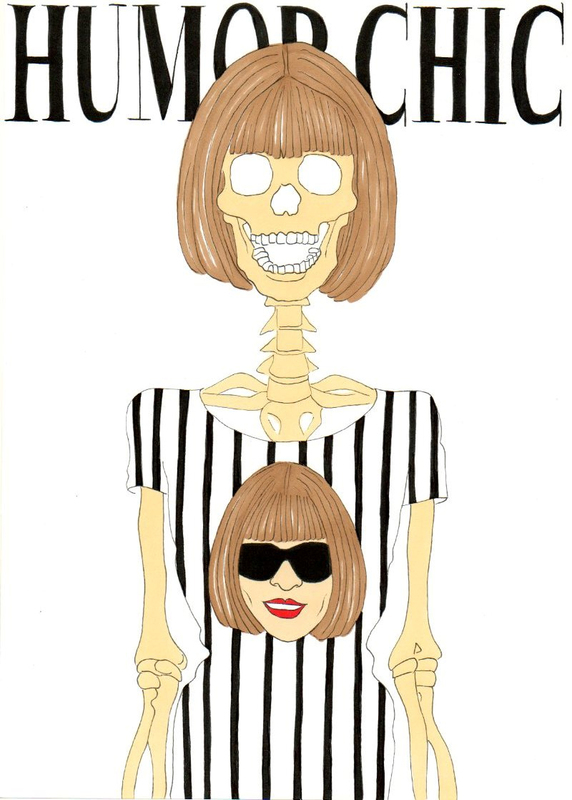 I love that the skeleton is cheetah print! Mrs O, is almost as trendy, after all.